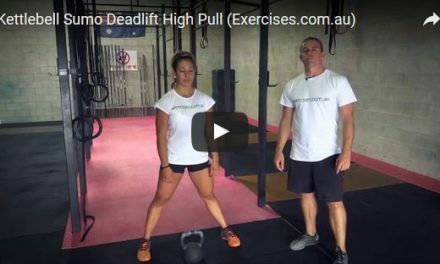 Deadlift is an amazing compound exercise that primarily targets the entire posterior chain (back/glutes/hamstrings) while involving almost every other muscle in the body as secondary helps. No matter what your fitness goals are, whether it is muscle gain, strength gain, or losing body fat, the deadlift can help get you there. Find enough room and start by placing a barbell on the floor. Approach the bar and stand close enough that the barbell is just in front of your feet with the feet in the center of the bar. Keep your feet about shoulder width apart. Bent over and grasp the bar with an overhand grip. Keep your chest up, your spine neutral, and shoulders retracted. Most importantly, keep your hips above your knees. This is your starting position. Take a deep breath in, hold it and pull the bar up off the ground while keeping your lower back arched. Exhale at the top of the movement. Return back to the starting position to complete the rep.
Avoid rounding the lower back. If you do, this is a sign that the weight you are pulling is too heavy. Additionally, keep the bar as close to the body as possible when pulling to maintain your center of gravity.